Meet Dan Richards’ New Friends: PENNY & PENELOPE! Dan Richards's PENNY AND PENELOPE, featuring two girls who create very different personalities for their dolls, but find common ground during their imaginary, action-packed adventures, with illustrations by Claire Almon, to Imprint, with Nicole Otto editing, by Ammi-Joan Paquette at Erin Murphy Literary Agency for the author and Helen Yung at Astound US for the illustrator (World) for publication in Spring 19. This quirky and unique picture book is sure to be a crowd-pleaser, so mark your calendars accordingly. Congrats, Dan!! We're celebrating so many fantastic new releases this week! Huge congratulations to you all! 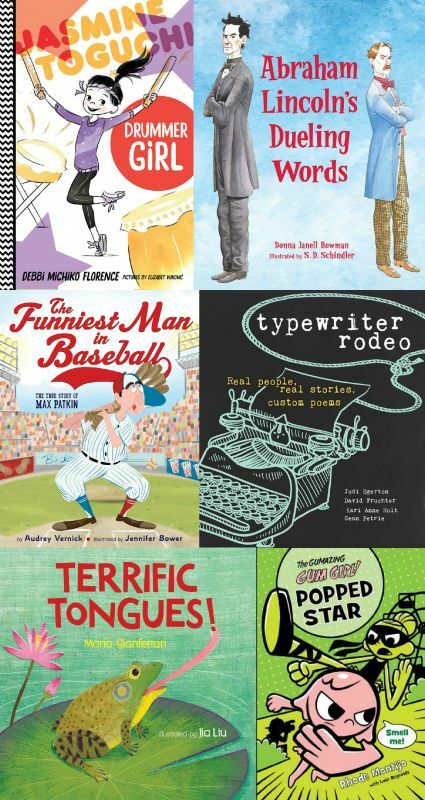 TYPEWRITER RODEO by Kari Anne Holt, Sean Petrie, and more!